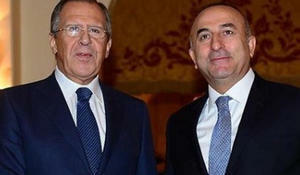 The Foreign Ministers of Turkey and Russia discussed common approaches to the peaceful resolution of several conflicts, including the Nagorno-Karabakh problem. The EU should engage more actively in solving the current conflicts in the South Caucasus, Chairman of European Institute for Caucasus and Caspian Studies in Berlin Matthias Dornfeld said. Afghanistan supports the position of Azerbaijan in the Armenian-Azerbaijani Nagorno-Karabakh conflict, Afghan Interior Minister Ghulam Mujtaba Patang said at a meeting with Azerbaijani Foreign Minister Elmar Mammadyarov on July 10, the Azerbaijani foreign ministry reported.